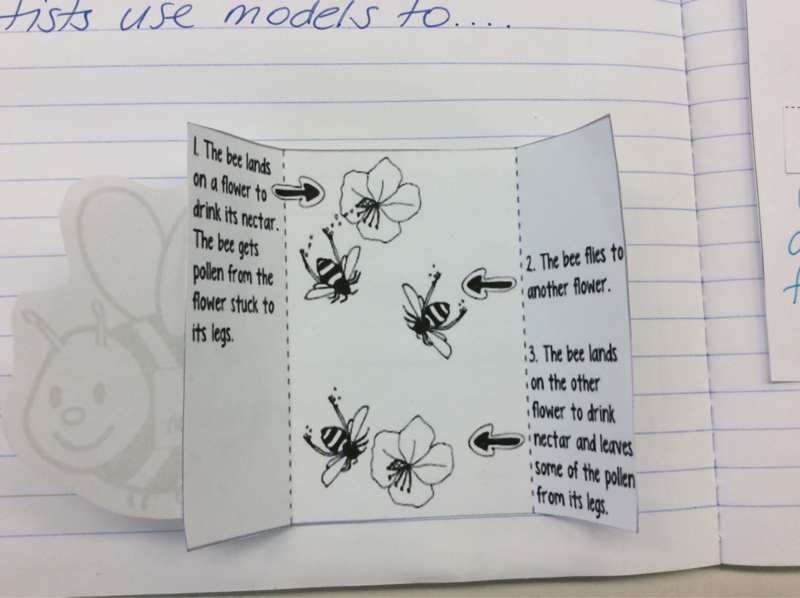 Mrs Marini made some models of flowers with plastic cups and pipe cleaners, with double sided tape on the end of the stigma, and chalk dust for pollen. We watched what happened when the pipe cleaner bee visited the first flower to drink the nectar in the bottom, and then went to the second flower to do the same. As the bee drank from the first flower, it collected pollen from the anthers on its legs. The pollen was then deposited on the sticky stigma on the second flower to demonstrate the pollination of the flower. We watched a section of a David Attenborough documentary called the Secret Life of Plants. It showed how flowers are specifically designed to attract pollinators, and how each flower is specifically formed just right to be pollinated at the right time, but the right animal. Quite fascinating to see how all the different flowers have the same parts, but how they are presented in the different flowers to perfectly match the associated pollinator. 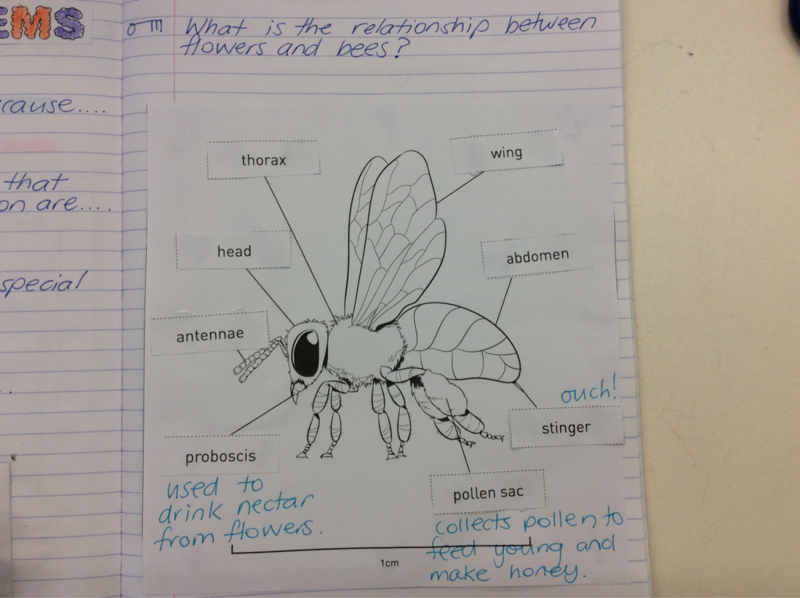 Afterwards, we completed a labelled diagram of a bee and worked on forming our understanding of the relationship between bees and flowers through sentence stems and our connections. 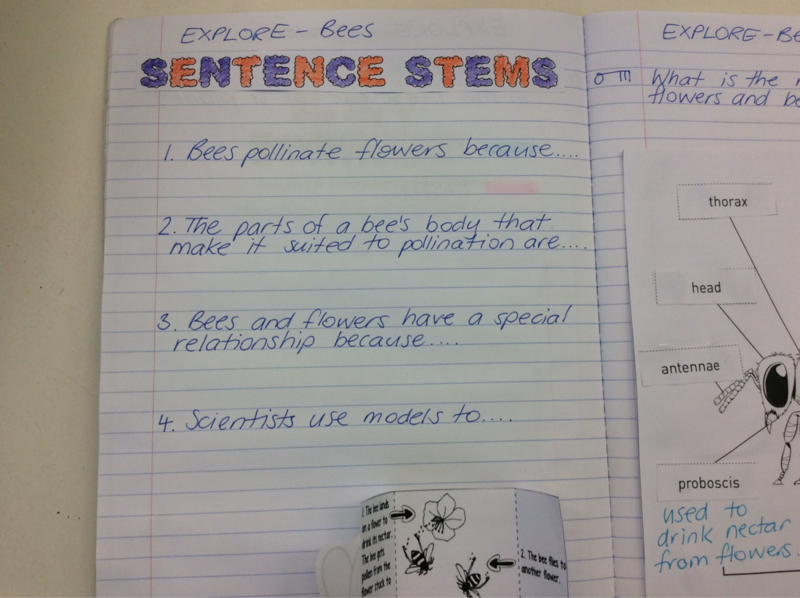 Why do we use a labelled diagram? What does a labelled diagram include? A labelled diagram might include a title, an accurate drawing, a scale to show the object's size and labels showing the main features. A line connects the label to the feature. 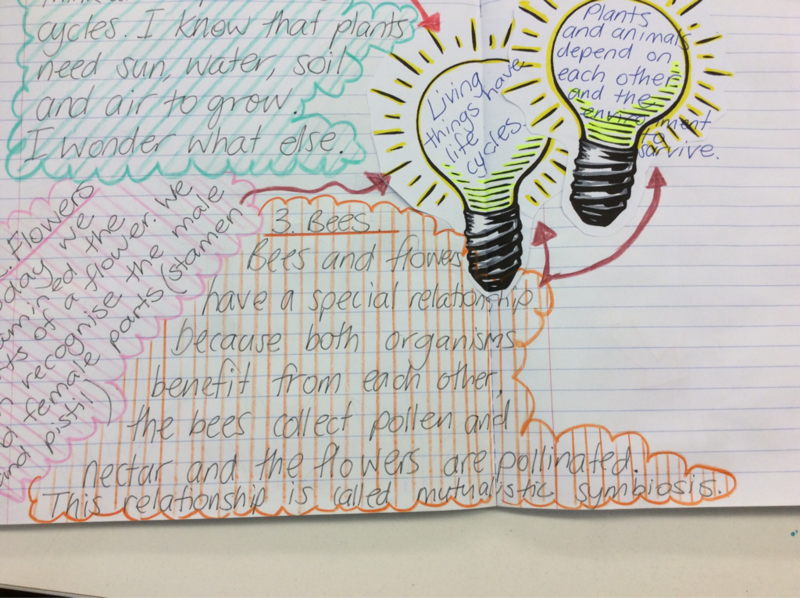 Watch this funny video for another explanation of the parts of a flower, pollination and fertilisation of a plant.